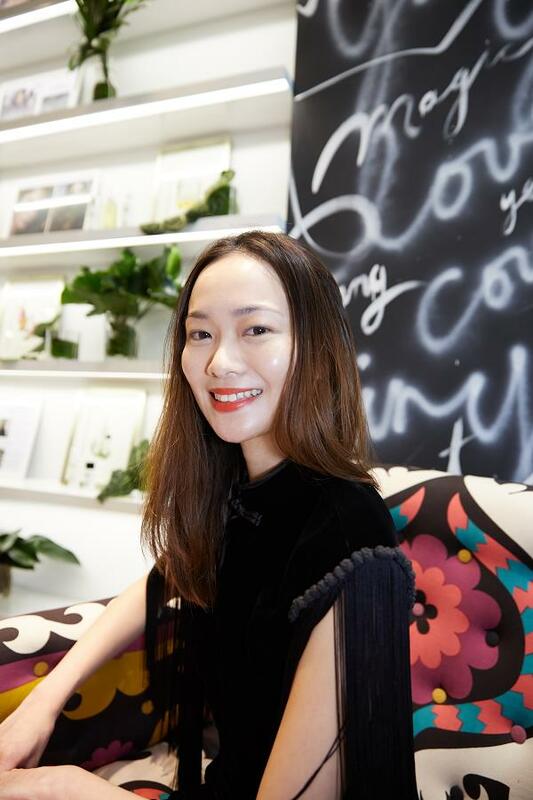 On the 21st of March 2018, Dr.TWL Dermaceuticals held its launch event at Marina Bay Sands – The Shoppes, LISA VON TANG. Formulated by Dr. Teo Wan Lin, an accredited dermatologist, the skincare line specialises in advanced cosmeceutical science. Fusing cosmetics with pharmaceutically active ingredients (hence “cosmeceuticals”), the brand empowers men and women with quality dermatologist-designed cosmeceutical skincare they can access right from home. 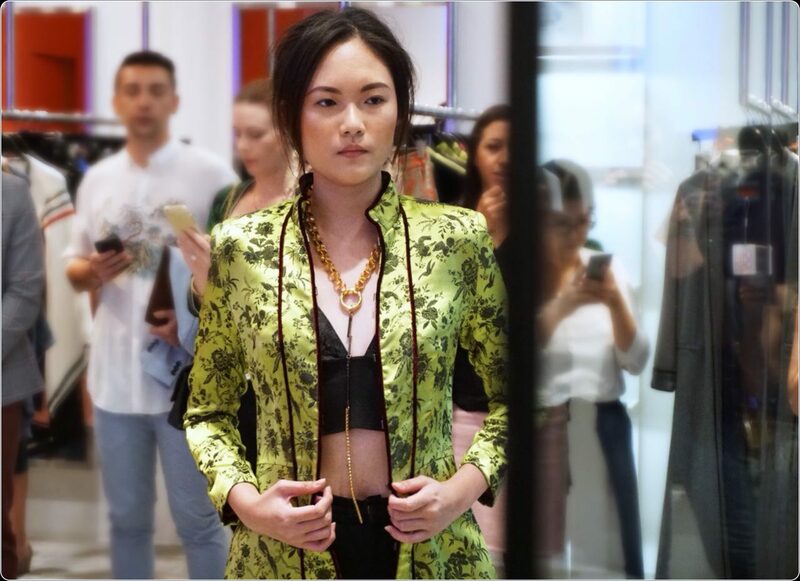 Hosted by MTV VJ Hanli Hoefer, the finals of the #DRTWLFACE model search showcased five finalists decked in the latest collection by LISA VON TANG. Beautiful skin was showcased that evening with Dr.TWL Dermaceuticals’ cosmeceutical primer Radiance Fluide™ Hydrating Emulsion and finished with the hydrating Mineral Booster™. Flawless natural was the mood of the day created by Canadian celebrity makeup artist Andrea Claire, who has led teams for Canadian Fashion week and international fashion campaigns. 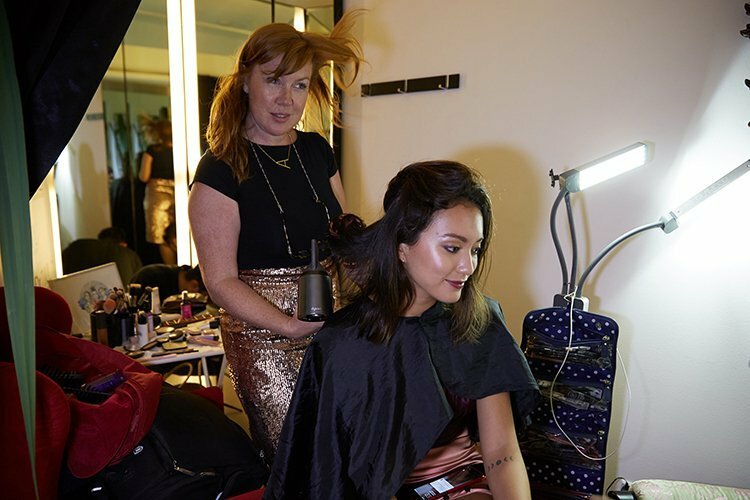 Backstage with celebrity hair and makeup artist Andrea Claire and host, MTV VJ Hanli Hoefer. The guests were treated to a Larecea™ inspired juice, containing the extracts of kale and broccoli. Larecea™ is a key cosmeceutical ingredient with potent anti-oxidant properties, a signature of the brand. 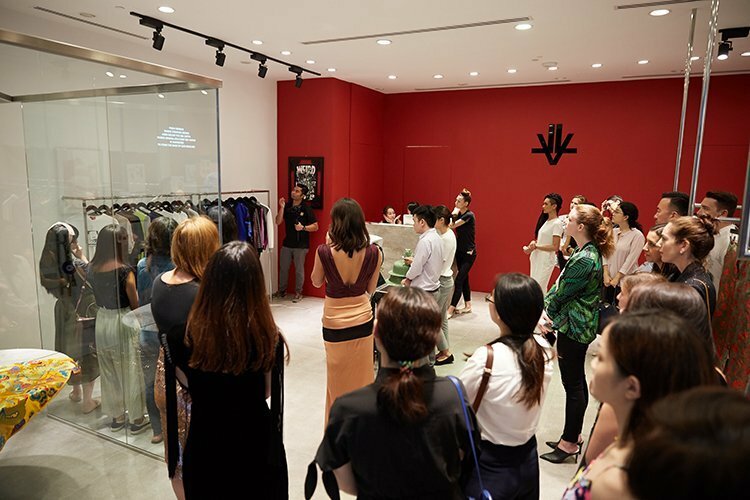 The evening saw the #DRTWLWOMEN brand ambassadors introduced by Dr. Teo Wan Lin, dermatologist and founder of the line. 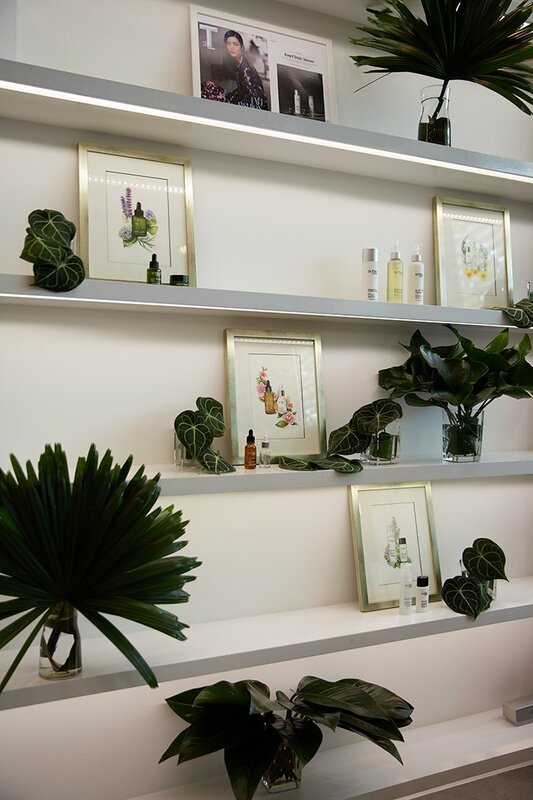 The brand’s ethos revolving about the truth of skincare, a story told through the eyes of three women artists and their works. The brand’s three bioactive ingredients, represented by each of these women artists, were revealed in a tale inspired by the Bible, starting from the Book of Genesis to the last Book of Revelation. 1. Designer Lisa Von Tang features in the Book of Genesis where the waters of the deep are formed at the beginning of time, where the purest ingredient “Deep Sea Secrets” is harvested 600m below the sea depth, for mineral rich purified deep sea water, the base of the skincare designed to calm sensitive, reactive skin types. 2. Botanical Artist Lucinda Law takes us to the #Secretgarden in search of the Elixir of Youth, #Larecea Extract — a potent combination of bioactive brassica oleracea (think kale broccoli and cauliflower) infused with anti-oxidant and regenerative properties. Walk with her in the original Garden of Eden, the day the Creator walked with the first man, venture into Paradise. 3. Embroidery Artist Teresa Lim spun the last thread in the Book of Revelation to unveil a futuristic DNA molecule, #Oligopeptides— researched in a state-of-the-art biotechnology laboratory. Oligopeptides simulate the natural molecule in one’s skin, which is lost as we age, birthing hope for a new era of skincare. For the finale, Japanese flamenco artist – Toshi Konno presented a closing act of high-octane flamenco. 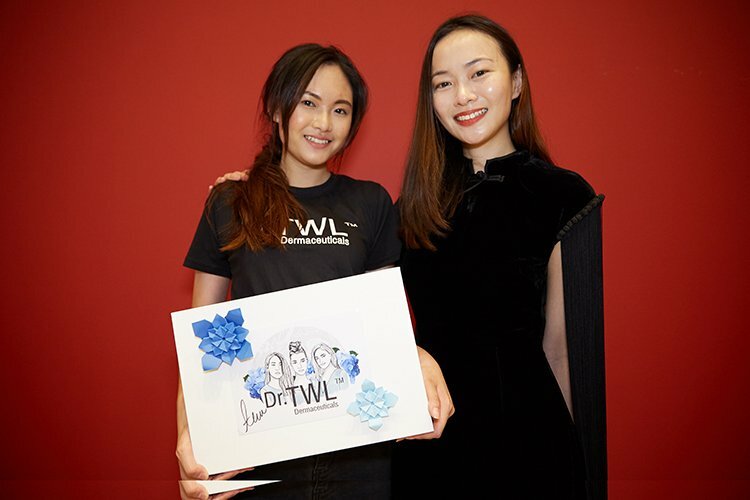 Contestant Alicia Lo won the #DRTWLFACE search and will be the face of the brand’s Elixir-V campaign for 2018. With her glowing skin and classic oriental beauty, she won the heart of the judges, in addition to $3,000 worth of beauty vouchers. In the international influencer segment for #DRTWLFACE, social media maven Grace Ramirez from the Philippines, also known as @grace.cheeks on Instagram was announced as the winner of Ms. Social Butterfly. She wins a social media hosting contract worth $10,000 as the brand’s social media ambassador. Dr.TWL Dermaceuticals, the first dermatologist-tested and formulated cosmeceuticals skincare line in the local beauty scene available on global e-commerce platform drtwlderma.com. Refresh your skin with #TWLBEAUTYBAG, eight deluxe samples of cosmeceuticals to last you a month at $28 to transform your skin to better health. Dr.TWL Dermaceuticals is a cosmeceutical range that combines the expertise of a Singapore dermatologist together with a pharmaceutical engineer and is developed in a research laboratory, with manufacturing standards certified by the Euro ISO 22716, a standard that complies with the European regulation for cosmetics for the European market. For more information, please contact Justin at +65 9837 8895. Why Hyaluronic Acid is a Dermatologist Favourite for Anti-Ageing What Type of Acne Do You Have and How to Treat Them?